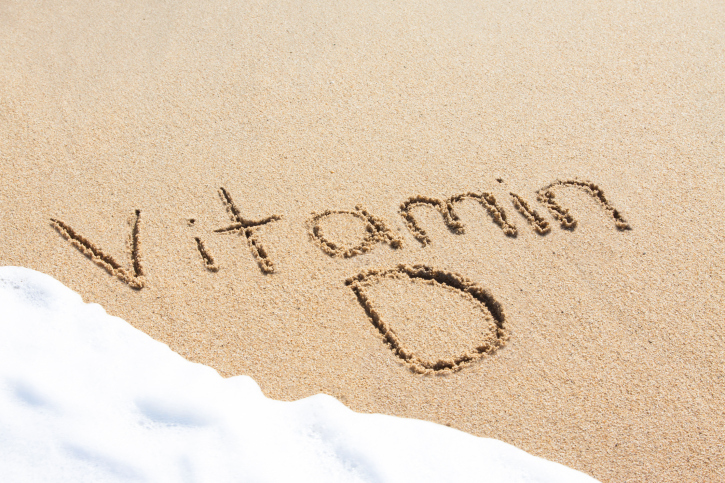 I have previously written about the benefits of having adequate vitamin D in your diet, including helping with the proper formation of your bones, normal immune function, proper blood clotting, and a lower risk of heart disease and certain types of cancer. The problem with vitamin D is that many people, especially older folks, can have below average levels of vitamin D in their blood and not know it. The situation is very likely to happen because people no longer expose themselves to ultraviolet light from the sun or consume enough of the vitamin from dietary sources. The best source of vitamin D is the manufacture of the vitamin from surface cholesterol on the skin following exposure to direct sunlight. The trend of getting at least 20-30 minutes of sunlight per day is becoming much less acceptable for fear of skin cancer. Recently, a published study found that 957 older, hypertensive subjects who had lower blood levels of vitamin D were much more likely to also have higher blood levels of chemicals that encourage the inflammatory response. More importantly, those older individuals who were found to be deficient in vitamin D had high levels of pro-inflammatory chemicals commonly found in patients who have heart disease, arthritis, diabetes, and auto-immune disorders. The subjects who were deficient in vitamin D had high levels of chemicals like interleukin-6 and C-reactive protein compared with people who were not deficient in the vitamin. The measurement of these pro-inflammatory chemicals known as cytokines is considered an accurate manner to gauge the level of inflammation inside the human body. There is no doubt that chronic inflammation is one of the most serious concerns in the development of the common chronic diseases of our time. Various methods of lowering inflammation including the influence of diet, drugs, exercise and nutritional supplementation have been postulated as a way to treat and prevent disease. An example of this strategy is the use of aspirin, metformin, and fish oil to reduce pro-inflammatory chemicals which encourage the development of the inflammatory response. Now, as a result of this study, there is evidence which concludes that vitamin D is also a very important nutrient in the control of the inflammatory response that drives the chronic disease process. There has been previous research showing an association between lower levels of vitamin D and the increased risk of developing colon cancer and heart disease. Perhaps the reason for this increased risk may be explained by the role inadequate blood levels of vitamin D has on inflammatory response. It is well understood that the development of colon cancer and heart disease can be directly attributed to chronic inflammation. Here is just another example of why this vitamin is so very important in human health. Busko, M., “Lack of Vitamin D Linked to CVD Biomarkers, Inflammation,” Medscape web site; http://www.medscape.com/viewarticle/821184, last accessed March 3, 2014. Laird, E., et al., “Vitamin D Deficiency Is Associated With Inflammation in Older Irish Adults,” J Clin Endocrinol Metab 2014.